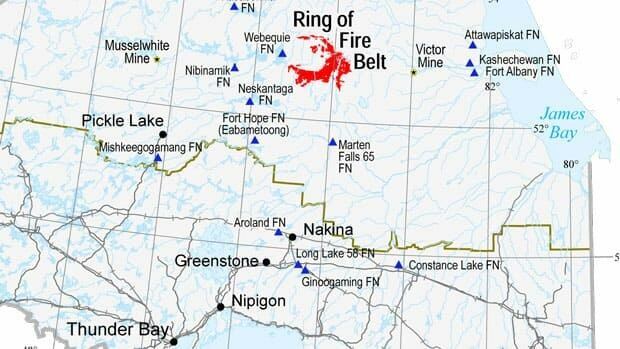 A road connecting remote First Nations in Northern Ontario’s Ring of Fire region to the south would cost $264-million to $559-million, according to a government-funded study that reviewed a range of options. The All-Season Community Road Study has not yet been made public, but The Globe and Mail has obtained a copy of the 147-page document, which is described as final and is dated June 30, 2016. ... 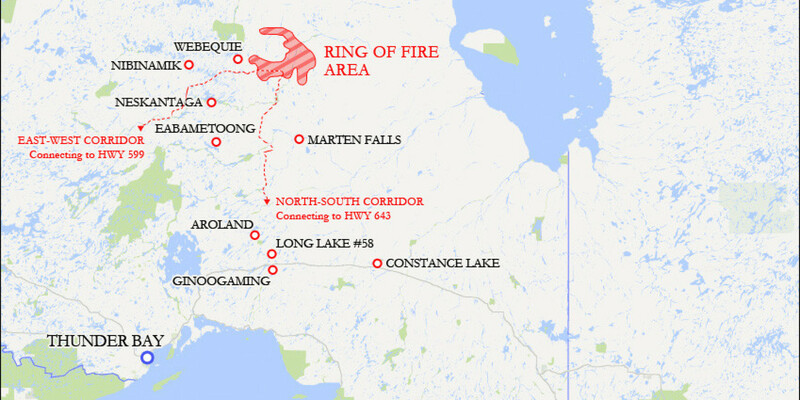 The Ring of Fire is a large mineral deposit about 500 kilometres northeast of Thunder Bay. It is estimated that it would be worth billions if resources companies had road or rail access. ... Among the positives, people said road access would make it easier for parents to visit children who must move away to attend high school. Cheaper food and other goods from the south are also viewed as a benefit, along with new links between First Nations communities. Common concerns were that a road could bring more hunters from the south, which could negatively affect trap lines and other traditional hunting practices. Many fear that more drugs and alcohol could reach the communities. If this were to happen, I would expect INAC (Indigenous and Northern Affairs Canada) to pitch in. I think it would overall be a benefit to the communities up there. This is the site of an ancient magma chamber. This pocket of magma cool slowly over millions of years and when that happens, you get massive amounts of ore-bearing rocks precipitating out of the magma in successive layers based on the chemistry of the different minerals. Elements that are normally diffuse become concentrated. 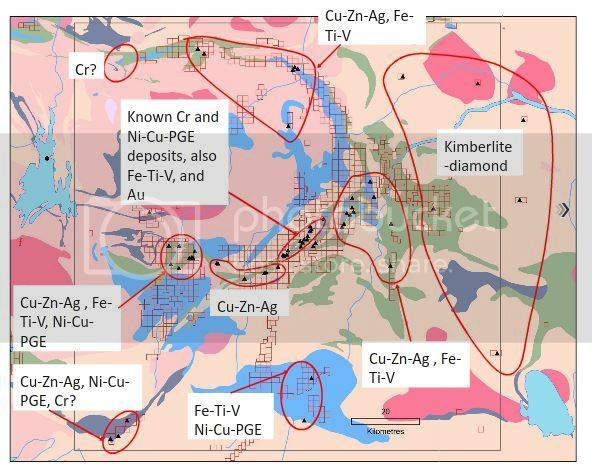 The circular nature of the feature reflects a stage where ore-grade minerals were being formed. I don't think it's overselling it to suggest that there could be a city of 30,000 at this location by mid-century.